I think we often put timeline-pressure on ourselves, particularly about what we hope to have published and when. Maybe the New Yorker puts it on us with its best under 40 issues. 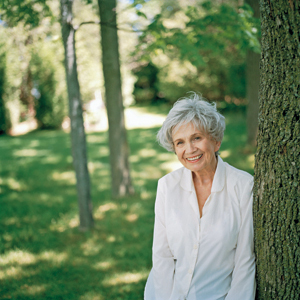 Meanwhile, Alice Munro was 37 when she published her first book, according to her Wikipedia site. I admire her for lots of things–sustaining tension, her dark regionalism–but one of my favorites is that she was born in 1931 and she’s still kicking. Hard. She reminds me that I don’t have to rush progress and that it’s cool to stay alive and keep writing. Penelope Fitzgerald didn’t publish until she was 58. Okay. I admit. I’ve never even heard this woman’s name before you mentioned her in that comment. Who is she? What did she write? What should I read? I read _The Blue Flower_ for a class at OU. I’d have to read it again to have anything to say about it.